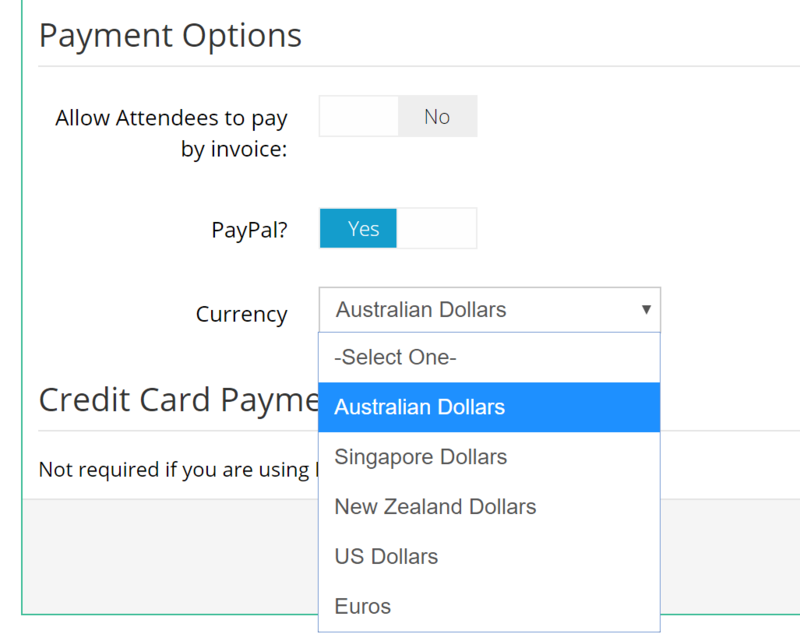 On request, for Premium accounts, Event Gate can enable processing ticket payments in different currencies. Choose the currency in which your ticket purchases will be processed. Please note, not all Payment Gateways support multiple currencies. You will need to ensure that your Payment Gateway (eg PayPal) has the selected currency enabled for your account. We highly recommend processing a test payment to ensure payments are processed correctly.